Here I am, guilty [again] of being unable to update my blog regularly. But today, it's my birthday and I thought, what better way to kick off the day than with a comeback! ;) And if you follow me on Instagram--which you should, because I'm more active there--you'll know that I went on a 4-day trip to Cebu. My friends and I got our tickets early this year during a seat sale, and had initially planned on doing the full Project Sursuroy 2D1N tour with Happy Juanderer. However, it was just our luck that there were no group tours scheduled on the weekend we were there, which meant we'd end up paying more for a group of 4 (as opposed to group of 10). We decided to DIY a day tour with Happy Juanderer instead, and picked out the places we wanted to see the most. The result? Still a beautiful Cebu experience I want to share with all of you--and which, I hope, you get to experience for yourself, too! 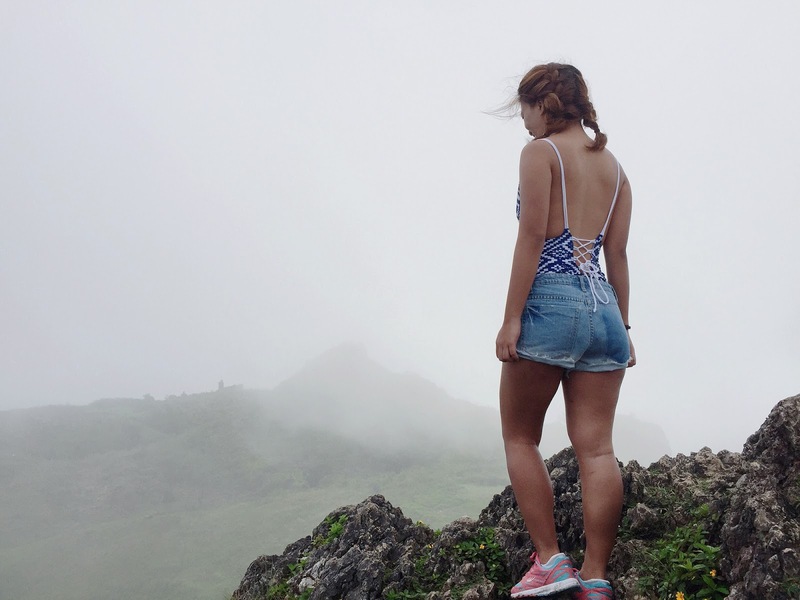 First stop: Osmeña Peak in Dalaguete--the highest elevation in Cebu; and, according to our guide, Cebu's Sagada. Pero dito raw, #MayForever! ;) We were already up by 5AM with our van waiting for us. After the long car ride, a bumpy habal-habal ride, and a trek to the peak, we were rewarded with this breathtaking view! Freezing but fun! We then went further down to Oslob to see some whale sharks at 10 in the morning. If you plan on doing the same, make sure to check when the best time to go is. There will be a queue when you get there, so plan ahead. I was initially nervous about being so close to the whale sharks, but once they had surrounded our boat, I couldn't help but dive in (or, rather, carefully go into the water, because they'll be startled if you dive!). They were majestic! Seeing them up-close felt so surreal to me. Made me want to learn how to dive and get certified so that I can enjoy the beauty of the underwater even more. Another boat ride later and we found ourselves on the shore of Sumilon Island, enjoying our lunch and listening to music. The lesser crowded shore was a welcome slowdown for me, as it was quite crowded on the Oslob side due to the groups of people waiting for their turn at whale shark watching. Sumilon Island was surrounded by clear waters that flowed out into a beautiful gradient of teal and blue, with fine white sand to blanketing the island, and a mixture of fine white sand and coral sand once you reach the waters. Naturally, could not resist taking photos and lounging around. We had about an hour and a half on the island, unfortunately, as we had one last thing to do on our checklist. Nonetheless, it was an hour and a half well-spent! After a day of frolicking under the sun, it was time to cool down at Tumalog Falls right before sunset. It was the perfect cap-off to our south Cebu day tour. And believe me when I say we did cool down--the water was freezing cold! 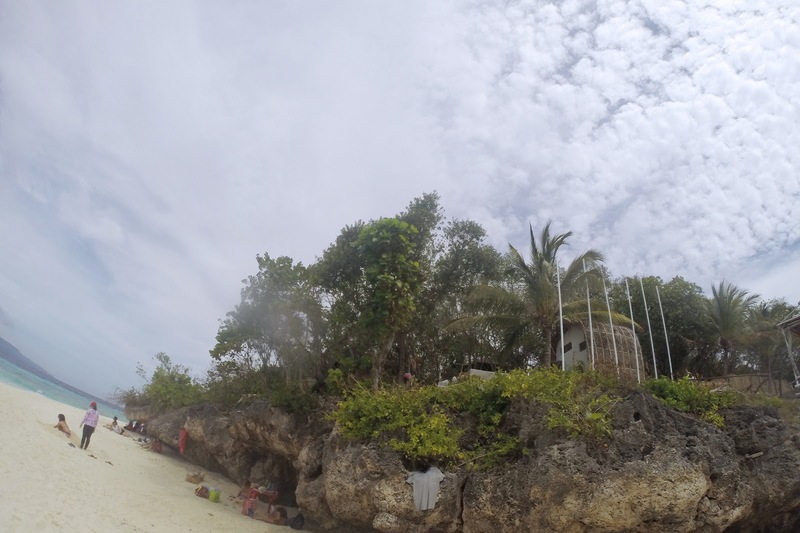 In the end, even if we did not get the two-day Project Sursuroy tour we initially wanted to do with Happy Juanderer, we still experienced a bit of what south Cebu had to offer. I definitely want to go back to see the rest! Badian, Kawasan Falls, and Moalboal. Where did you go on your last travel? P.S. Follow me on Snapchat (megannmonday) & Instagram for daily updates.